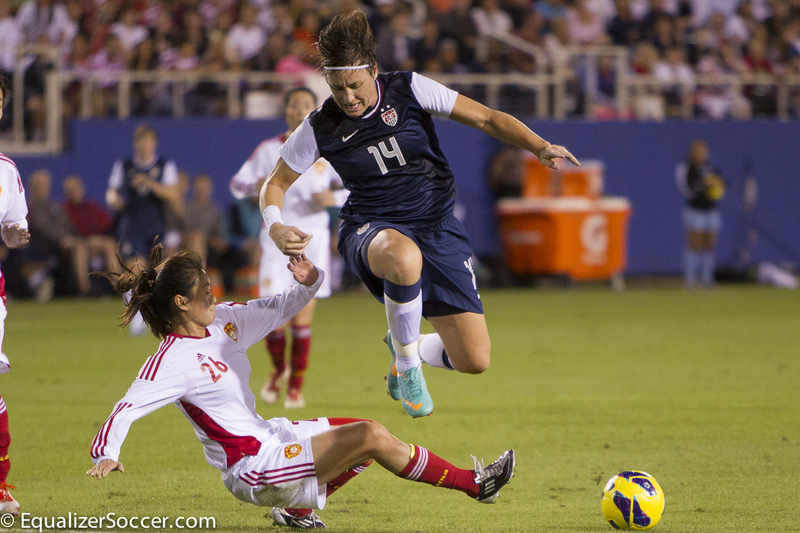 BOCA RATON, Fla. — The U.S. women’s national team concluded their 2012 gold medal victory tour and calendar year with a 4-1 win over China. The much anticipated women’s professional soccer league was also given an identity at halftime. The National Women’s Soccer League (NWSL) will begin its inaugural season in the spring of 2013 with eight teams participating. Abby Wambach inched closer to Mia Hamm’s record of 158 international goals, scoring her 151st and 152nd on Saturday night. Wambach broke the 0-0 tie in the 18th minute, finishing an Alex Morgan cross with a signature Wambach header. The assist for Morgan was her 21st of the year, tying her for second-most in a year with Hall of Famer Carin Jennings Gabarra (1991). The U.S. controlled the tempo for much of the first half with China rarely crossing into the US defensive third. 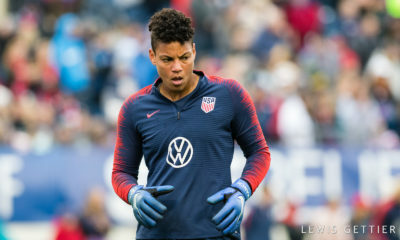 Chinese goalkeeper Wang Fei made some key first half saves, but in the 36th minute turned the ball over to US midfielder Megan Rapinoe, who scored an unassisted, long-distance goal from around 40 yards out. 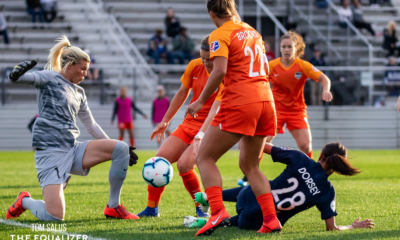 Right before halftime, Chinese midfielder Han Peng kept China’s hopes alive by beating defender Amy LePeilbet on the left side of the penalty area and firing a left-footed shot that found its way into the corner of Hope Solo’s goal. This was China’s first and only goal in the three games against the United States, also ending the team’s shutout streak at 409 minutes. China and the United States played in one of the most iconic soccer games ever played in the 1999 Women’s World Cup final, in which the U.S. squeaked out the win in penalty kicks. After the 1999 World Cup, interest in women’s soccer died down in China. The Chinese automatically qualified for both the 2003 and 2007 as the hosts (although the 2003 event was moved to the U.S. at the last minute, due to the SARS outbreak in China), but failed to make it past the quarterfinals each tournament. China looks to be in a rebuilding mode, heavily relying on their youth. Wambach’s 27th goal of the year came in the 64th minute after she finished off a perfectly placed Rapinoe cross. Following the goal, Wambach sprinted to the sidelines to hug Morgan, who had been subbed out at halftime. The Wambach-Morgan duo accounted for a total of 55 goals this year, tying Michelle Akers and Carin Jennings Gabarra’s 1991 record. Sydney Leroux finished off a record-setting season, scoring in the 87th minute from a Heather Mitts assist. The goal was Leroux’s 14th of the year, setting the record as the most by a reserve in a calendar year. All 14 of her goals came this year (and in her career) came as a substitute. Following the game, the players were excited to thank the fans for their support throughout the year, and equally as excited for six weeks off. When asked about her off-season plans, Wambach immediately said, “rest” is the most important part of her upcoming time off. •	Christie Rampone passed Mia Hamm as the second most-capped player in history with her 276th cap. 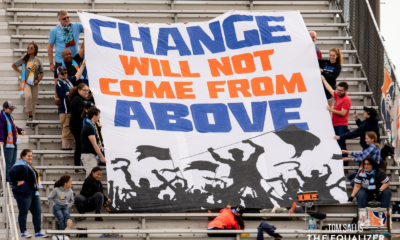 •	U.S. Soccer announced the first game of the 2013 year will be on Feb. 9th against Scotland in Jacksonville, Fla.
•	A camp is expected to be held in late January/early February, and will be the first under new head coach Tom Sermanni. He said on the NBC Sports Network broadcast that he will call in all the players from the victory tour.